You are here: Home / Tori's Kitchen / Food for Thought / Cheese – The New Health Food? Cheese – The New Health Food? When a photographer wants us to smile for a photograph, we are often asked to “say cheese.” It works! Cheese makes us smile because it’s seriously yummy stuff. My husband adores cheese– cheddar, blue, Gruyère, Swiss– he can’t get enough of it. I love it too, but I’ve always enjoyed it in moderation due to the fact that it’s high in fat and calories. For years my husband has tried to convince me that cheese is healthy. I know it has lots of protein and calcium, but due to the calories and fat I’ve always considered it a less than optimal snack choice. Despite the popular notion that cheese is bad for you, Americans can’t get enough of it, consuming an average of 31 pounds per person, per year. That’s a lot of cheese! Turns out, according to recent reports, my husband may have been right all along. When it comes to a healthy lifestyle, cheese appears to be the new “it” food, and we couldn’t be more pleased. A recent study by Cambridge-based biomedical company Lycotec attempts to explain why the French, who eat cheese regularly, are generally healthier than other European nations. French women have the longest life expectancy in all of Europe. Turns out that the popular green-veined Roquefort cheese, high in both salt and fat, may be key to French longevity. The secret lies in the ripening. Aged blue “molded” cheeses, like Roquefort, have strong anti-inflammatory properties that are activated in acidic areas of the body, including the skin’s surface and stomach lining. These same properties also help ease inflammation of the joints and protect against cardiovascular disease. Who would have thought? Not surprisingly, researchers are already considering how to turn Roquefort’s anti-inflammatory properties into the next big anti-aging product. I can see it now… blue cheese facials, smoothies and wrinkle treatments. Oy vey! Another study in the journal Pediatrics found that children who snacked on a combination of cheese and vegetables felt satiated more quickly, consuming about 70 percent fewer calories than kids who snacked on potato chips. The protein in cheese combined with the fiber in raw vegetables helped study participants feel more “full” than snacking on chips, cheese or veggies alone. Cheese and veggies together proved to be the best snack combination for hungry tots. It stands to reason that the combo would work the same way for adults, barring any dietary restrictions that limit cheese consumption. I don’t know about you, but a little cheese would certainly make me more excited to snack on raw veggies. You know what? It’s okay. I’m willing to admit when I’m wrong. Dear husband, I give in. You can have your cheese and eat it too, though I still stand by my original food philosophy… everything in moderation, including moderation. What do you think about all of this good press for cheese? Are you celebrating, or skeptical? Maybe you’re lactose intolerant, so it doesn’t matter either way? Or are you saying cheese and grinning from ear to ear? 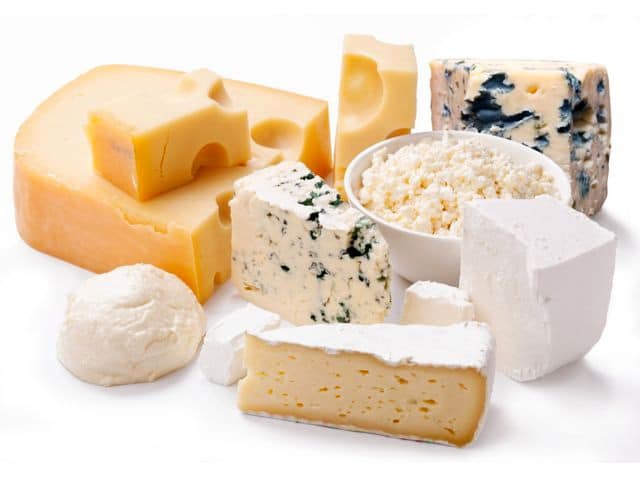 The great news for IBS sufferers, is that “hard” cheese, including cheddar, roquefort, etc., doesn’t have lactose……whereas cottage cheese, feta, the soft cheeses, yoghurt, have the lactose which causes the problems. It also appears that hard cheese has good bacteria, which means that people like me, who can’t tolerate yoghurt due to lactose, can get great digestive assistance from good cheese! New? Not for us 🙂 Our family of 4 are all normal or underweight and we eat full fat cheese EVERY DAY! Can’t live without it. It’s good for your teeth, it’s filling, it’s a convenient snack. We just prefer real food over the ‘low-fat fad’ – it seems that every person I know who follows a low-fat diet just keeps on gaining weight, honestly. It’s a myth, without good healthy fats that aren’t manufactured for you, you will not digest the food you eat. People have eaten fat for eons and weren’t obese, it’s the hydrogenated, GMO soy and corn stuffed yuckiness that’s making everyone sick and fat. Alas, high fat dairy products are not good for everyone. A limited amount is okay, but it can raise cholesterol levels of people who are predisposed due to its high saturated fat content. The American Heart Association suggests approx 14 to 20 grams of saturated fat as the daily limit. Cheese is yummy and a wonderful, ancient invention that must have been extremely helpful in preserving milk at a time of no refrigeration. It’s nice to know that some healthful properties are there, but it’s still not a good idea to over-indulge, at 6 grams of sat fat per oz. On a recent radio interview, I heard that the French use cheese in small amounts, as a dessert option: cheese or pastry, not both. Americans tend to over-do it and like to slather cheese on everything. Of course the French also use a lot of butter in cooking, which has the same problem with sat fat. So you’re syaing that my dream of putting “eat more cheese” on my list of new year’s resolutions might finally come true? How exciting! I love cheese, but I hate bleu cheese, blech! My favorite lunch is a salad with cheese – piave or goat cheese are my favorites. Add some olive-oil packed tuna and a little hummus, sunflower seeds and dried cranberries – perfect! Never been a fan of cheese (or dairy products in general) but it seems I am the only one in the world (aside from some family members from whom, I suspect, I got my odd taste in food). Growing up I’ve learned to enjoy some mild cheeses (mozzarella and swiss for example, especially melted) and some hard ones as well (i.e. pecorino toscano) but I don’t think I’ll ever like the creamy, extremely “cheesy” ones: cream cheese, brie, camembert, goat cheese, bleu cheese… just, no. Just their smell can make me lose my appetite. I have never bought into the low fat thing as being either heart healthy or weight maintaining, although like all things…mostly moderation is the key. I drink a little whole milk daily, some whole milk yogurt, goat cheese and locally made organic mozz, jack and cheddar (grass fed cows!). I love the blue cheeses and gruyere also. I have found that if I use a very good cheese, I can use less to get the taste and texture I like. I think this is the same with most stuff – the better the quality of the ingredient, the less needed and ultimately it doesn’t cost any or much more to use the good stuff. Well, that is my story and I’m sticking to it :)! I was a cheese and crackers kid and to this day take a few crackers and a slice of cheese to bed for a go to sleep munch. During the day, though it is cheese and an apple slice or celery stick :)! It is not cheese, but I have started using cashew cream with nutritional yeast for a cheese sauce/dip. This is a vegan thing – not new but new to me. Make it thick or thin, add peppers, etc. for a dip. This allows me to get a different nutritional mix and moderate my cheese intake. I eat toast with cheese for breakfast. I found it’s the only thing that keeps me full till noon. Not a big fan of blue cheese, but I will try to develop a taste for it. There is an other benefit of cheese. Cheese has anticariogenic properties. Which means eating cheese can inhibit tooth decay. I consider cheese to be one of the great culinary pleasures in life. It ranks right up there with chocolate, and may even surpasses it when one is in the mood for savory comfort. Naomi, I couldn’t agree with you more!! My husband and I adore cheese, the snack drawer of my refrigerator is packed full of cheese at all times! The stinkier the cheese the better. I’ve always craved proteins and cheese is my go-to snack much of the time; along with fresh veggies/fruits. I’ve tried to cut back on dairy in general – switched to almond milk in my coffee – but can’t give up on cheese. But I have to say I mostly like the strong flavored ones like cheddar, feta and blue cheese. Glad to hear that the food my body says is good for me is being backed up by research.